My word for 2016 was SALSA. I know – not exactly a deep, soulful, year-centering word. But for me, it was a relief, a release of emotion from the not-exactly-met hopes of my previous one words “try” and “submit.” It’s not that those years were years of failure, but what I had hoped they’d mean – and what they came to represent, in all their varying forms, good and bad – didn’t exactly match up. In 2014, I thought I’d try more. Instead, my will could only get me so far and God literally forced me to stop trying so dang hard. In 2015, I began to submit: my work, a grad school application, mind, body and spirit. Instead, the NOs began to pile up and I felt overworked and underqualified in every way. In the end, I submitted more to my limitations than to anything – or anyone – else. So, 2016 seemed like a good time to reset the clock and aim towards something fun, something I didn’t hinge my future success on, something that fed me (literally), and the Year of Salsa was born. Truth be told, salsa never let me down. Early in the year, we discovered a Mexican food imports shop where we attended enchilada workshops and befriended the vivacious owner. We’d pop in once a month for a chat and just a few necessities (as much as our budget would allow) to make mole and salsa verde at home. We learned new recipes and the life-changing fact that salsa is NEVER raw, it is always cooked down and cooled, turning from a rose pink to a mild brick red. We’d treat those bubbling saucepans of deliciousness like babies, gently stirring and murmuring as if in prayer, pouring ever so delicately into a bowl and waiting with anticipation for that first spicy bite. When I look back on 2016, I hope I remember salsa and Lily’s shop and learning how her grandmother made enmoladas and how to pick a ripe jalapeno. I don’t want to remember the heartache, the worry, the chronic illnesses, the fear. I want to remember feeling whole and full. That Mexican shop was an answer to prayer I didn’t even know to ask. These “One Words,” these ideas we pluck out of thin air and attach them to 365 days of our life, are a prayer, whether we realize it or not. By the pure fact we choose any word by which to measure our time, we apply a wishfulness, the pursuit of a dream, a hope for change. And yet, I’m not sure I prayed all that much about them. I know for sure I didn’t pray for salsa, but did I pray for God to empower me in my trying? Did I pray He would conform me to His likeness in submission? Did I pray that in these symbolic acts I would become less and He would become greater within me? Did I yield a single thing before the trials that laid it all bare? Oh, my one words seem so much more like a prayer to myself – a “Get it, girl,” if you will – than they do a supplication before God. I have no One Word for 2017. In fact, I write this now in the last days of the year, as we pack suitcases for Christmas in America with a gaping hole in our support account and a deadline with which to fill it. I pray for a love without fear, a spirit that keeps no record of wrongs. I pray for strength and patience to endure, for a heart that’s pure. I pray for my children and every other mother’s child stumbling through this broken world to feel secure and know peace. I pray that what little I have, that I may give it, cheerfully and without a second thought. 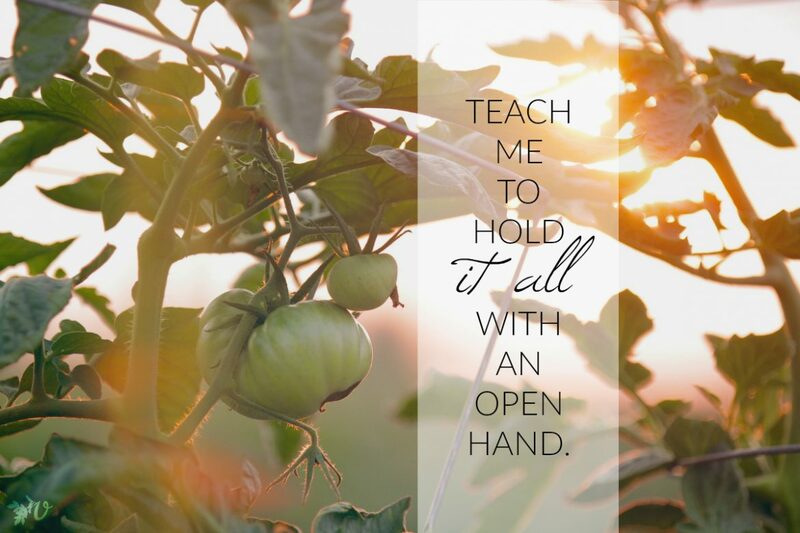 And, though I may now be afraid, I pray that God would teach me to hold it all with an open hand. I pray He would pry my clenched fingers loose, massage out the worry and pain, and fill them with the kind of good gifts only He can give. More of Him, and less of me. How have your past words for the year played out in surprising ways? Have you chosen a word, Scripture or prayer to focus on for the new year? Ah what a great reminder Karen! Hope your year becomes more than you ever dare dream (in a good, salsa-like way)! As for the question…last year, I picked the word “brave/courage” because I wanted to step out of my comfort zone more and be less afraid of what people thought of me or of what the results of my choices could be. Then I had a baby and ended up struggling with what I can only describe as postpartum depression and anxiety (no official diagnosis). I struggled showering unless I locked the bathroom door, imagining knife-wielding psychos ready to attack on the other side of the curtain. I became literally afraid of the dark again, thinking that something lurked in our bedroom. So, brave? Not much. It did teach me to rely on others more because I had to reach out and be honest and vulnerable with others in order to survive. I’m so grateful for the people God has put in community with me here! God has also taught me to hold my expectations and desires more loosely, especially when it comes to motherhood. Last year I chose the word “sparkle.” I was three months past my move here, facing overwhelming challenges, and struggling to keep smiling through it all. I wanted, in 2016, to learn more steady trust–to learn to carry the restful joy in my heart that brings a sparkle in my eye and in my life–whether in an easier or harder time of life. But the challenges continued to pile up and the year was physically and emotionally very difficult. It frequently took effort to smile, let alone sparkle, and often when my eyes fell on the notes I had placed a few different places with my word–sparkle–it almost seemed to mock me. In late November what seemed like another huge mountain rose before me, and, weary from a difficult year, I wondered if I can actually handle this. A lot of tears…a lot of surrender…a lot of crying out to God to make a way where there seemed to be no way…and through this trial, in the last few weeks of the year, God gave me my word. He gave me that sparkle, that joy in the face of impossible difficulty. And I can’t stop saying, GOD IS SO GOOD!!!! Now, standing at the beginning of 2017, I still haven’t quite settled on a word for the new year. But I’m thinking it might be, “Follow Me.” There are some powerful commands and promises attached to that phrase in the Word, that seem very appropriate to focus on at this time in my life. Thank you, Karen. I love that thought..maybe the sparkle was also to be found in the glistening of shed tears. I’d never thought of that before. He cares about our tears and I do believe our pain is precious in His sight as a sacred tool that chisels His image in us. Thanks, Karen. I agree that the words that have been on my heart throughout a year haven’t always meant what I thought they would mean. Last year, I felt that God was whispering the word discipline to me. Discipline is not really my natural inclination. I thought this would be a year of putting more rhythms, structures, routines…discipline into my life. I really like the idea of being disciplined. If I was more disciplined I would be more effective and more at peace, right? As I went throughout the year, I kept failing in all these new routines (transition and routine don’t seem to work together well in my life) and I felt that God was saying that this isn’t what he meant by discipline. I found out more of what it didn’t mean than what it did mean. Finally, in October, I realized that the discipline that God wanted me to cultivate was the discipline of constantly turning my eyes back to him. The hymn “Come Thou Fount of Every Blessing” describes me so perfectly when it says, “…prone to wander, Lord, I feel it; prone to leave the God I love…” The rest of the hymn is so full of grace and love and God’s pursuit of me. I wish I could say, “learned that discipline lesson!” but I’m definitely still in process. Alongside this word “discipline” has also been “faithfulness.” God’s faithfulness is so amazing. 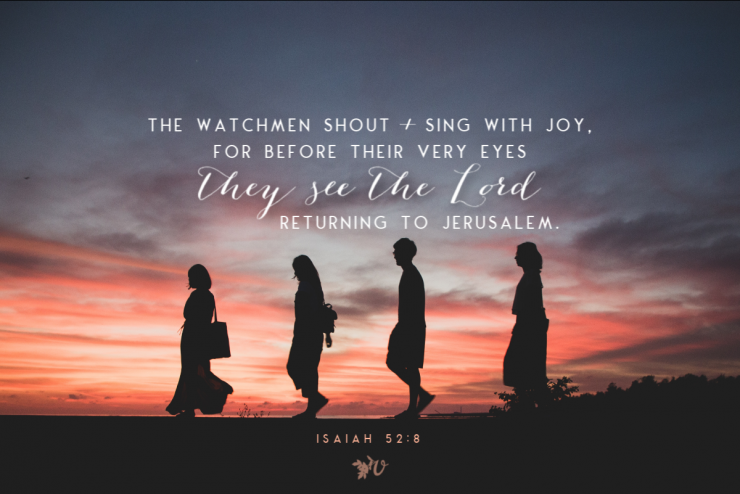 I’ve been seeing it in my life, in the stories in the Bible, in other people’s lives, but it is also illuminating my unfaithfulness–not in a condemning sort of way but in a way that shows me his unconditional faithfulness. He is not faithful because I am “disciplined.” He IS faithful. Period. That makes me want to desperately be turning my eyes back to him. I hope I’m learning…I’m not always so sure. Don’t you just *love* how our goals and plans for our lives mostly end up showing us how weak we are?? That’s the story of my last few years too. I’m glad that you had a word with a bit more whimsy though! God is so good to personally touch each of us in such different ways! After reading these posts and sitting quietly here with Jesus, I find my mind thinking of the 400 years that preceded the birth of Christ. During that time, there was no “Word” from the Lord. No utterance of a prophet. No promises or making sense of life as it was happening. Only waiting. Only hoping. Longing… longing for a Word, which they didn’t even recognize when the silence was broken and it was “among them.” (John 1: 10,14) The “Word became flesh and dwelt among us…and the Word was God.” As I leave a year where a smattering of words from the Lord about me, my life, my heart, my future came full of ambiguity and uncertainty, I am at last no longer looking for a Word about ME. I am compelled to fix my eyes on THE Word. 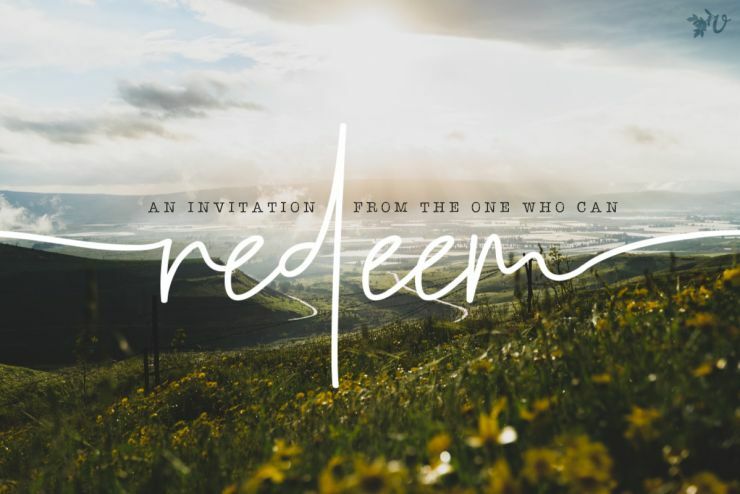 On “God the One and Only” –the Person who has something to say about everything in my life but Who bids me in this season to “gaze upon His beauty and seek Him…” (Ps 27:4) Letting the Person of Jesus fill my mind, my heart and my days has caused a lot of struggle. I have always said, “I want God Himself. 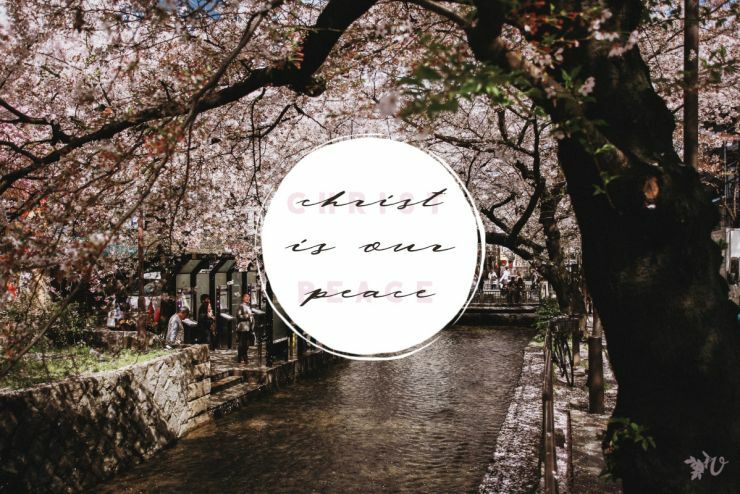 Nothing else.” But when “God Himself” was ALL I had, I suddenly realized I wanted oh-so-much-more than Jesus alone. I wanted security. I wanted a job and a purpose. I wanted “normal.” I wanted “no more trouble” and I wanted a future that was spelled out for me. Or at least a plan. But each day, He offered nothing but the Word Himself. Jesus was here. And slowly but surely He stilled my noisy heart and mind and bid me to simply be with Him. Letting go of everything I felt I needed to hear from Him and receive from Him, I found myself still, and somehow I truly knew HE IS GOD. (Psalm 46) God Himself, given in the chaos of life with no assurance that anything will be better, became my Refuge in the storm of life. At last, I see the way forward. This year, my “word” is Jesus. Just Jesus. Showing up each day and offering me Himself in all His fulness, knowing full well I will struggle to grasp Him, but never doubting that He will be the Treasure I need, and that the struggle will change me into a woman who is able to partake in His glorious nature. “And we all, who with unveiled faces contemplate the Lordʼs glory, are being transformed into his image with ever-increasing glory, which comes from the Lord, who is the Spirit.” (2 Cor 3:18) A glory that is unspeakable.